Club Penguin Cheats by Mimo777 Club Penguin Cheats by Mimo777: New Series 12 Plush Puffle Toys! 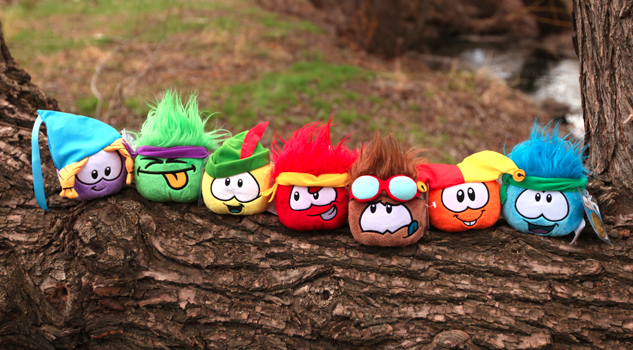 New Club Penguin plush puffle toys coming to in North America, the UK and Australia! You will be able to buy them soon! For every plush you buy it comes with the puffle plush, a hat, 1 treasure book item, and 1500 coins! How many of these do you have? Will you even buy any on these? A nice idea for new puffle products would be, for every puffle plushie or toy you buy, you get that puffle in game. It would promote sales a ton.